This season, public relations teams everywhere can collectively cringe over a cornucopia of questionable PR moves resulting in bad press. But for every example of a negative story, there’s a good takeaway to incorporate into our professional lives. 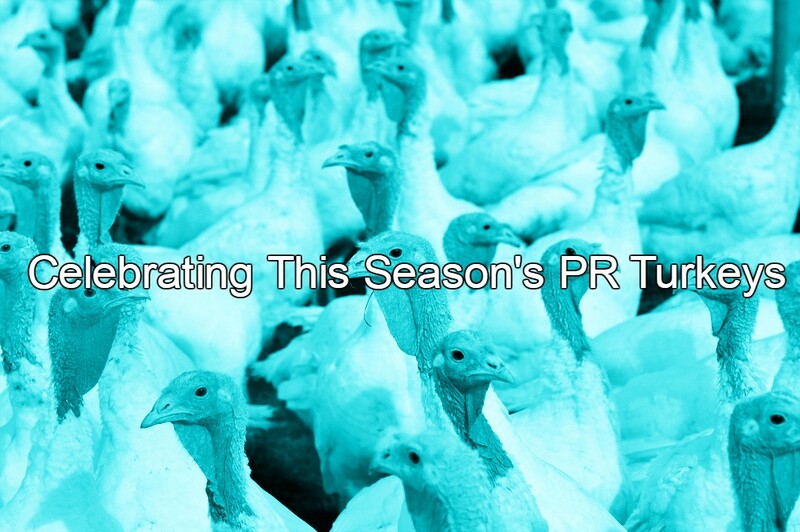 Our take on some of the PR “turkeys” we’ve witnessed lately is that some companies either don’t consider the the optics of a move, or they fail to think through the reactions of key constituencies. Most companies and public institutions take their reputations very seriously, so it’s sometimes puzzling when you analyze PR winners and losers at this time of year. Is it a lack of oversight? Poor judgment? Or are we too critical? Maybe these missteps deserve the traditional holiday pardon. Read on to see what you think. On a more business-forward note, Amazon recently announced its latest salvo in the war against “porch piracy”. It launched Amazon Key just in time for the heavy holiday shipping period. For $249.99, Amazon Prime customers can purchase an In-Home Kit featuring an indoor security camera and an Amazon Key-compatible smart lock. Users allow delivery services access to their home and can watch deliveries happening live or in a video clip later in the day. So, basically, homeowners are allowing a stranger inside their home to place a package and leave. The service also boasts the ability to grant access to “people you trust, like your family, friends, dog walker, or house cleaner—no more leaving a key under the mat.” Even assuming that this is a comfortable arrangement for some, it raises the question, what could go wrong? Well, plenty as it turns out. Like the NSA, Equifax and any number of “secure” online services, if it’s web-based, it can be hacked. Researchers from Rhino Security Labs say they’ve already found a weakness in the security camera system. Amazon responded that they don’t believe there’s a security issue because they thoroughly background-check their delivery drivers. From a customer messaging perspective, we find this a weak defense and look to the company to release or conduct its own vigorous testing results for confirmation. It seems that Treasury Secretary Steve Mnuchin and his wife, Louise Linton, just can’t catch a break. First Linton tags the designers of each piece of her posh wardrobe while returning from a trip on a government jet, triggering an Instagram spat and social backlash. Then there was the eclipse-gazing debacle. But the recent shot of the Secretary and his wife holding a sheet of newly minted dollar bills bearing his signature has stoked fresh criticism. In the photo, Linton gleefully poses a la Cruella Deville in a black leather ensemble complete with opera gloves. In the midst of a bitter debate on tax reform, the optics are unfortunate. 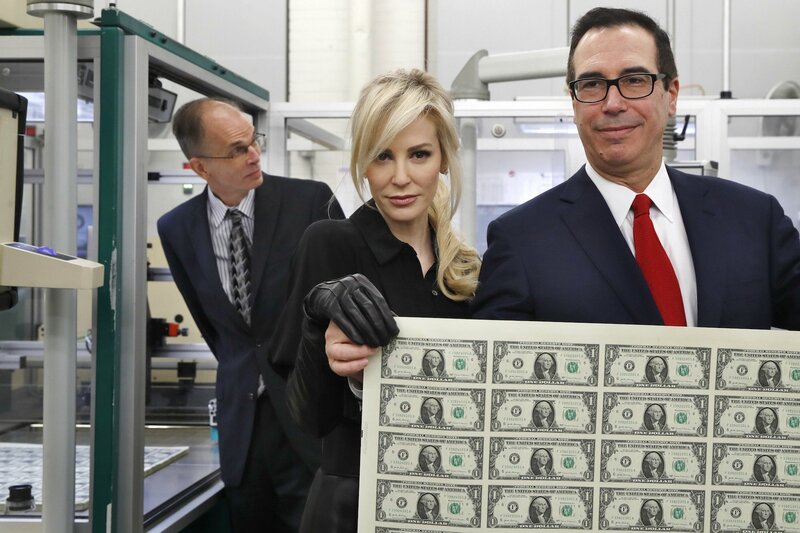 Yet the real question is, why is the wife of the Treasury Secretary in this “ready for my social media close-up” photo at all? The picture projects a laissez-faire attitude toward the stewardship of the US Treasury and practically invites parody. And parodied it was — a thousand memes were born with the shot, and none of them were kind. It’s unclear if the Secretary is bothered by the social blowback, but it could have been avoided if a skilled reputation manager had been on the trip. It didn’t seem to have been a priority in this case. Trouble in Twitterland. 280 characters and more. Earlier this month Twitter began allowing users to double their character count to 280. This produced a decidedly mixed reaction, particularly from longtime users who prefer the original format. In fact, when it began testing longer tweets in late September, it found that once the novelty of tweeting longer wore off, most people in the test group didn’t use all the available characters. Only 5% of tweets sent by people in the 280-character test group were longer than 140 characters, and just 2% were over 190 characters. So while the company absorbs this “meh” news, the unveiling of its longer name feature – 50 characters – has triggered a more negative reaction. It seems that groups critical of Twitter’s inconsistent and sometimes slow response to hate speech prompted a flurry of new display names calling it out. After alt-right figures like Jason Kessler were given the coveted blue verification check, Twitter’s critics registered their anger by adding variations on ‘ban Nazis’ to their display names. Founder @jack has apologized, but haven’t we seen this before? It’s not too much to ask for a leading social platform get their PR act together and have plans in place before going out with such announcements. You know the millions of dollars big brands sink into their logos? Well, it turns out the ROI on that may not amount to all that much. A recent study showed that when people were asked to draw some of the world’s most iconic brand logos from memory, many of the attempts were laughable! That may not be amusing for the companies spending the big bucks on heavily tested, professionally produced brand identities. When respondents were asked to draw 10 iconic brands, including Wal-Mart, Burger King, Apple, and Ikea, only 16% of attempts were considered near-perfect. Of course, the ability to reproduce a logo may not mean it’s forgettable, and the press around the study isn’t necessarily so terrible. And there’s a benefit for the company that conducted the study, Signs.com. Their logo appears in the lower right corner below; think you will remember it? Finally, we would be remiss if we didn’t comment on a more serious issue – the non-stop slew of sexual harrassment and abuse allegations dogging prominent names from politicians to Hollywood icons. While each case is different, it appears there are some early learnings stemming from the way individuals have handled the claims. Being accused of sexual misbehavior is very serious and will naturally elicit all kinds of emotions, but any public response should acknowledge and respect those who come forward as victims. There are no easy answers here, but Thanksgiving does offer a time to reflect.